Published: Sept. 1, 2014 at 01:49 p.m. 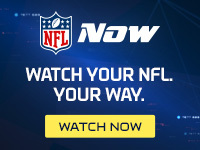 Updated: Sept. 1, 2014 at 04:59 p.m.
By all accounts, Alex Smith came out on the winning side of his new contract with the Kansas City Chiefs. The quarterback's four-year, $68 million deal comes equipped with $45 million in guarantees, per NFL Media Insider Ian Rapoport. Coupled with $7.5 million in existing money, Smith is set to make an average of $15.1 million over the next five seasons. The 30-year-old passer made it clear all summer that he wasn't interested in signing a pay-as-you-go deal similar to what Andy Dalton and Colin Kaepernick agreed to. Asked Monday if he felt respected by what the Chiefs ultimately offered, Smith argued that both sides won. "For me, again, it was something fair both ways," Smith told reporters. "As a quarterback, you certainly don't want to hamstring your team in any way because, I know this more than anyone, you rely so heavily on those playmakers around you. So you certainly don't want to do anything like that, but at the same time, you do want something that's fair." Smith remains an easy target for pundits, but the quarterback's winning percentage over the past three season (.763) trails only that of Aaron Rodgers (.775) and Tom Brady (.771). While he's no gunslinger -- only Chad Henne and Matt Ryan threw a lower percentage of passes beyond 20 yards last season -- Smith is underrated for his ability to extend plays and find targets on the run. His game isn't everyone's cup of tea, but Smith's gifts are enough for coach Andy Reid, who willingly hitched his wagon to the veteran for years to come. Comparing quarterback contracts might make for a juicy parlor game, but the Chiefs took one look around the NFL and realized: You could do a lot worse than Alex Smith. "You look at the market in quarterbacks, this and that, but everyone is different, every situation is different," Smith said. "But there's a lot that goes into it. I think that's kind of why it did take a little while."